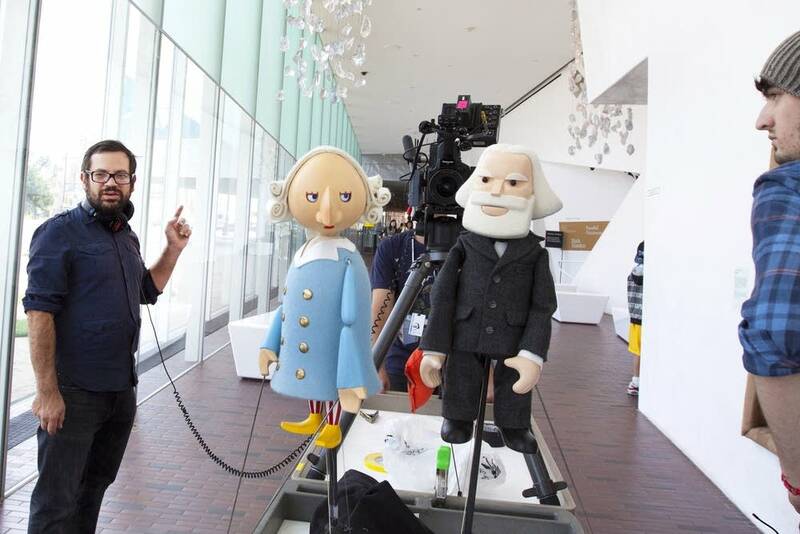 For the next couple of weeks Karl Marx and Adam Smith will stalk the halls of the Walker Art Center in Minneapolis, at least in puppet form. They'll be talking economic theory, and trying to make sense of the modern world. 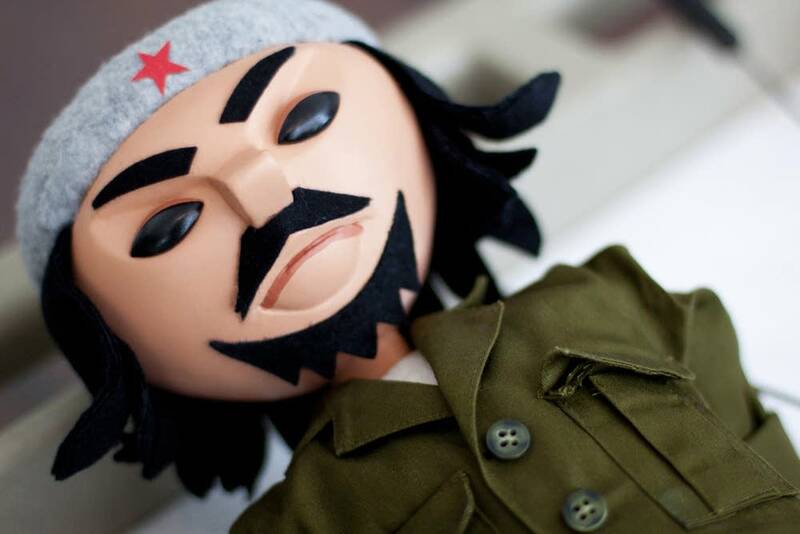 It's a project called "Baby Marx," which aims to entertain, while spreading a little economic literacy. 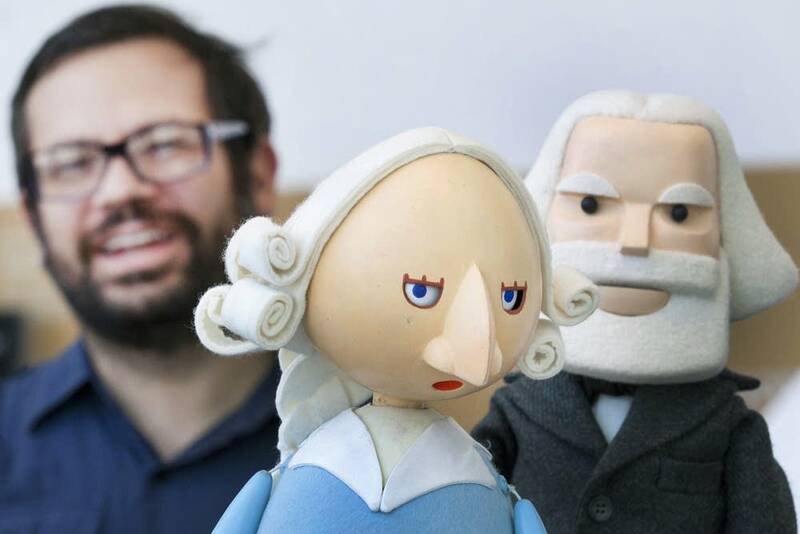 Imagine Karl Marx, recognized as the father of communism, and Adam Smith, the patriarch of capitalism, visiting the Walker's gift shop -- with a film crew, arguing about whether the purchase of some tchotchkes is good or bad for the economy. 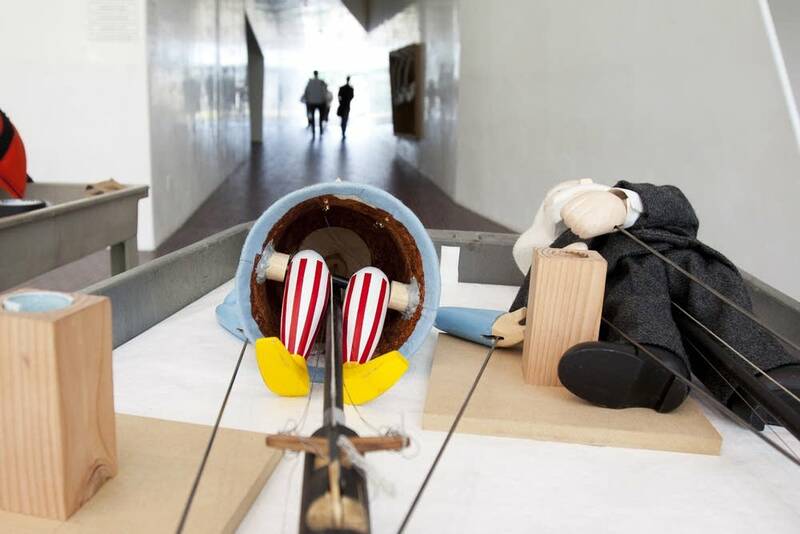 Off they go down the corridor, a male and female puppeteer followed by the camera. It's a strange looking procession. 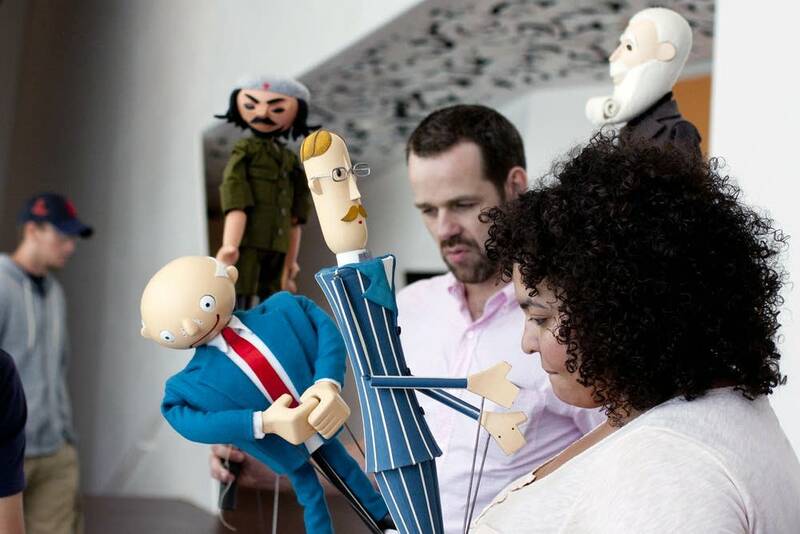 The Marx and Smith puppets are each about two feet tall. Director Pedro Reyes keeps his eyes glued on the monitor. 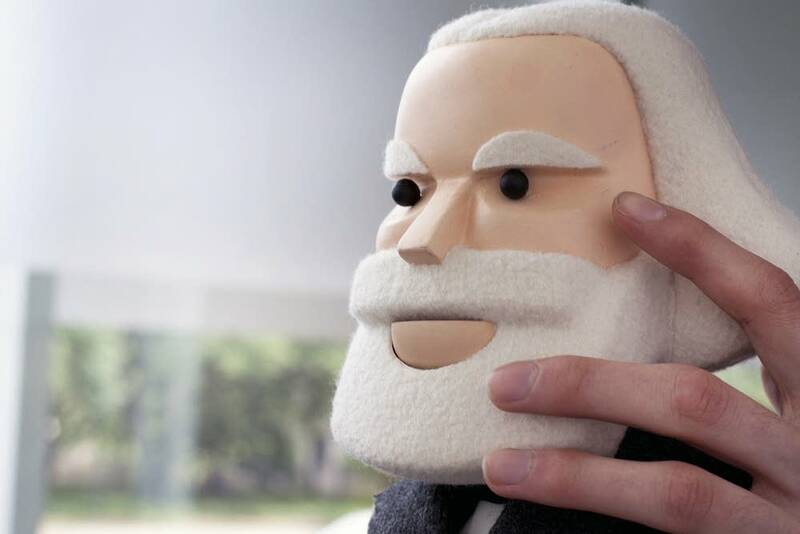 "Even the very metaphor of the puppet is a very good metaphor, because these historical figures have been used like puppets," he sayd. 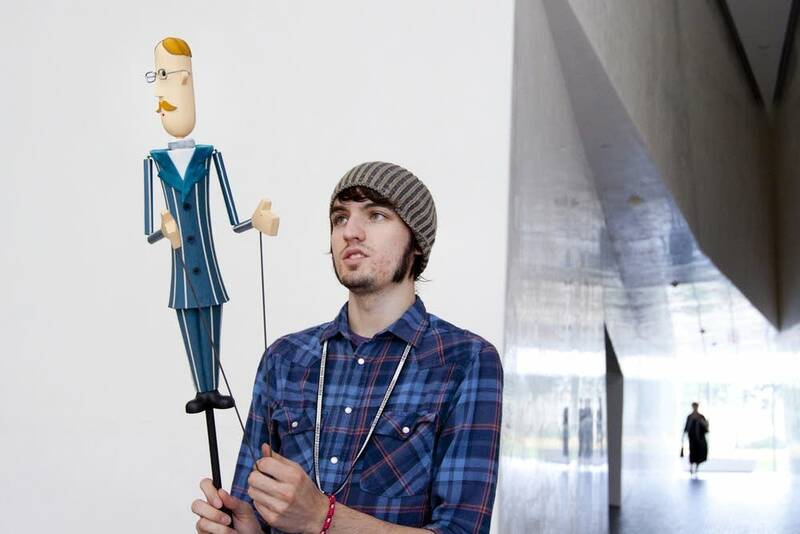 Reyes is a multimedia artist from Mexico who is leading the project. He says bringing up Karl Marx and Adam Smith in conversation will bring a reaction, positive or negative, depending on a person's viewpoint. Even the events of the past few days -- the stock market meltdown and riots in London -- can be described in terms of Smith and Marx, he says. But Reyes believes few people have actually read any Marx or Adam Smith. "These two figures on both sides of the political spectrum have been demonized," he said. "And what we do here is a little bit to convey certain literacy, like economic literacy, but to have fun at the same time." Reyes is filming an improvised story called "Baby Marx." In it, Adam Smith and Karl Marx come to the 21st century to learn how their work has been interpreted over the years. "I'm afraid that Mr. Marx has a chip on his shoulder because his philosophies have failed so miserably," sniggers Smith. "Failed so miserably," Marx responds, "because they aren't doing it right." Likewise, Smith finds that his work, "The Wealth of Nations," is also rarely read and much misunderstood. All the while they bicker. Visitors to the Walker may appear in the film, as the two philosophers stumble upon them in their walks. As filming continues, some of the edited sequences will screen in the galleries for visitors. There will be discussions with political experts, also to be included in the final film. 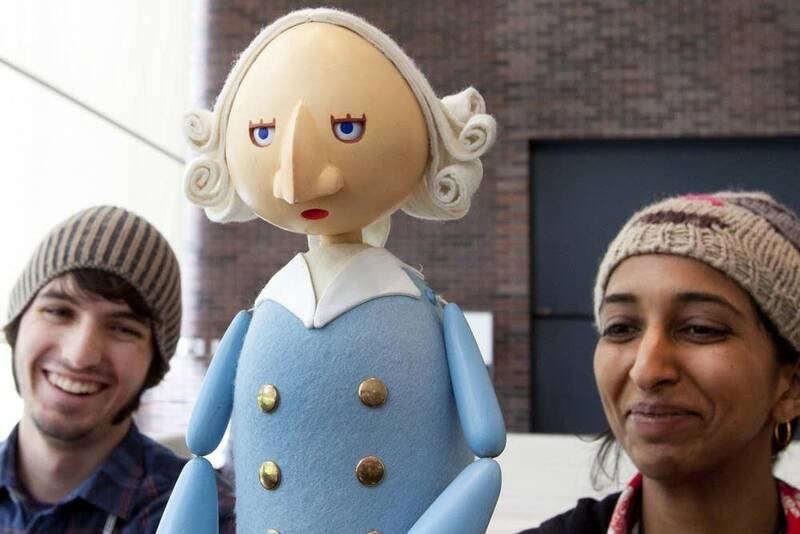 In the center of all this are two local puppeteers, Marc Berg and Janaki Ranpura. Berg says they need to find just the right balance as they combine puppetry with comedic improvisation about economic theory. "We are not making fun of Karl Marx, or necessarily making fun of Adam Smith," he said. "We are creating caricatures, completely arbitrarily placed upon them, as a vehicle for their ideas." As the person pulling Adam Smith's strings, Ranpura admits she's had a few issues dealing with his view of the world. But she says she's already learned something important about weighing capitalism against socialism. "The fact is that these two characters, as we found out this week through improvisations, can argue endlessly and never come to a conclusion," she said. "And that's kind of the conclusion." A few moments later a little girl comes over to see what they're doing. 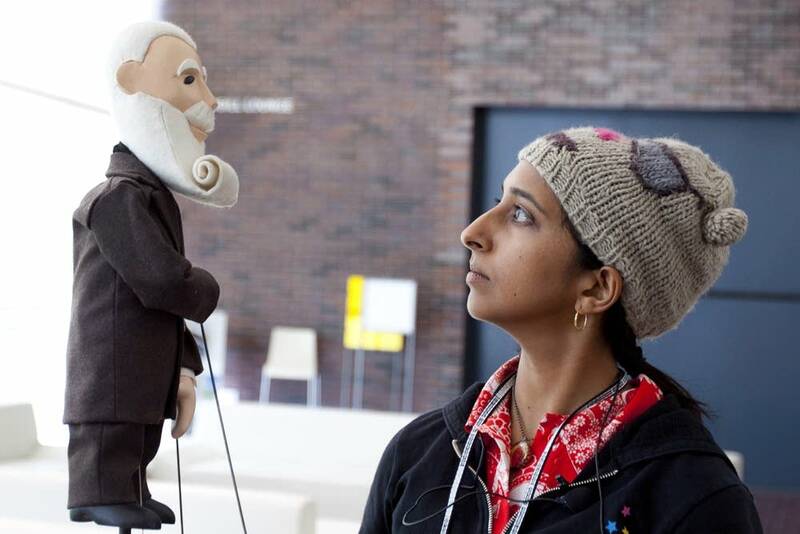 It soon becomes clear she didn't care about economic theory: she's lost in the magic of puppetry.